If you’re a Windows 10 user you probably heard the term Blue Screen of Death. This is one of the most problematic errors on Windows platform, so it’s no wonder that malicious users are using it for their gain. Number of users reported blue screen in Microsoft Edge, and today we’re going to show you how to fix this problem. Blue screen in Microsoft Edge, how to fix it? According to users, blue screen appears in Microsoft Edge telling them to call a certain number in order to fix this issue. If you’re getting a similar message in Edge or in any other web browser, do not call the number provided in the message. This “blue screen” in Edge is just an attempt by malicious users to trick you into thinking that you’re getting infamous Blue Screen of Death error. However, that’s not the case, and the “blue screen” that appears in Edge is just a web page created by malicious users to trick you. If you see a blue screen with a similar message in Microsoft Edge, you should know that your computer isn’t infected or under any danger. This is just a simple scam that tries to trick you into calling the number on the screen and paying the scammer so that he can “fix” your computer remotely. Now that you know what this “blue screen” is, let’s see how to fix it. When Task Manager opens, go to Processes tab. You should see several Microsoft Edge entries on the list. 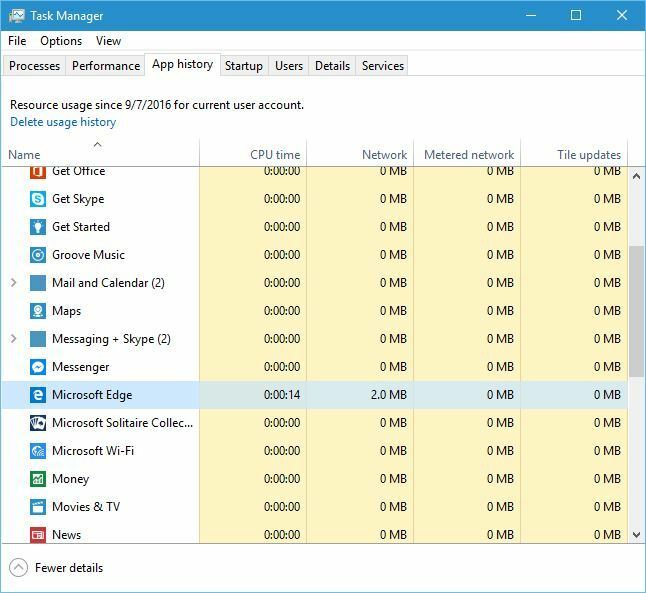 Every Microsoft Edge entry represents one tab in Microsoft Edge, and you just need to end Microsoft Edge task a few times to fix this problem. If Microsoft Edge closes, start it again and repeat the process. After couple of tries you should see a message saying that Microsoft Edge couldn’t open this website. You’ll be asked to return to the start page, so you just need to click Yes and the problem should be fixed. 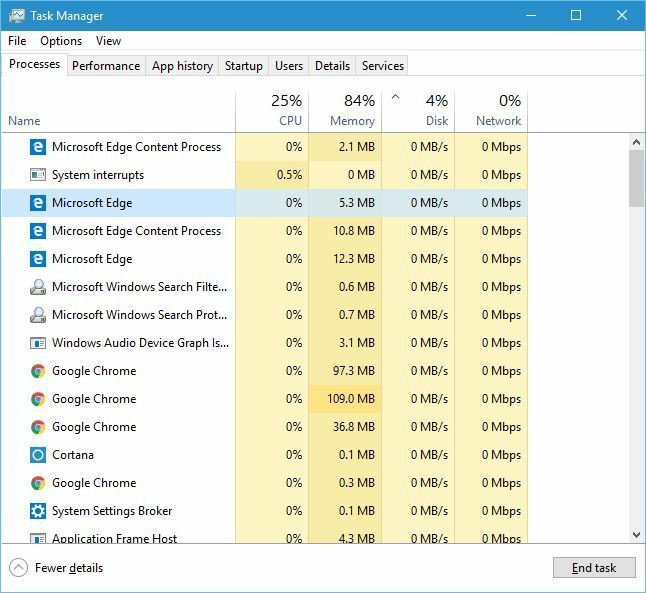 According to users, this solution works but you might have to end Microsoft Edge process several times before you fix this problem. Users reported that they fixed this issue simply by opening a new tab in Microsoft Edge. When you open Edge, try to quickly open a new tab. If you manage to open a new tab, try to close the tab that gives you the blue screen message. If that doesn’t work, drag the problematic tab and create a new Edge window. Try to close it, but if that doesn’t work, start Task Manager and try to end its process. Usually that process will be the one that uses most of your memory. After ending the task and closing the problematic window the issue will be permanently resolved. According to users, you can fix this problem simply by running malware scan. It seems that this issue appears due to tracking cookies, and after running malware scan and removing the tracking cookies, the issue with blue screen in Microsoft Edge should be permanently fixed. Users reported success by using Junkware Removal Tool, so you might want to give it a try. When Task Manager opens, go to App history tab. 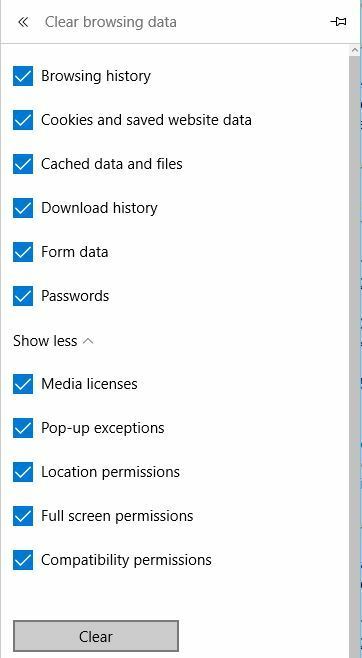 Locate Microsoft Egde and click Delete usage history option. We don’t know if this solution works, but it doesn’t hurt to try it out. 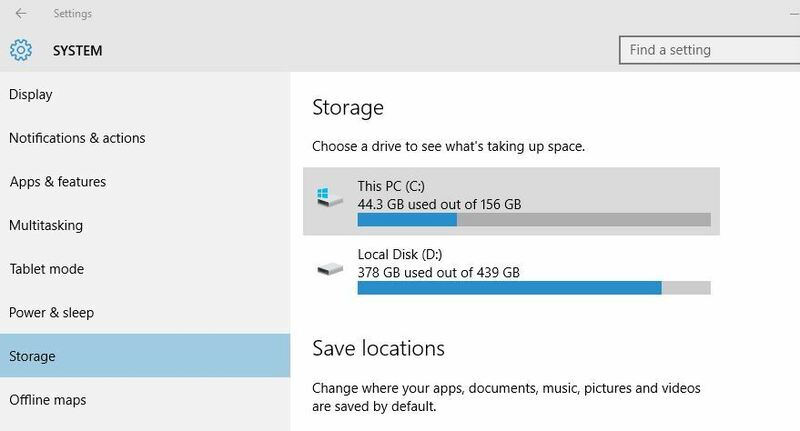 Your hard drive partitions will now appear. Click This PC option. 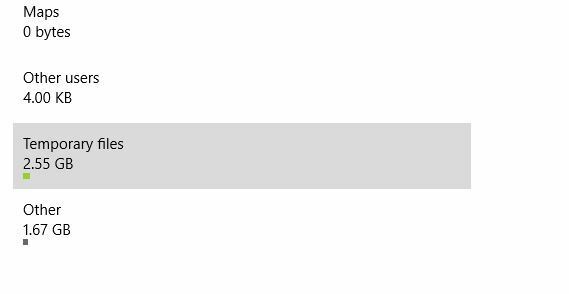 Scroll down to the bottom of the page and click on Temporary files. 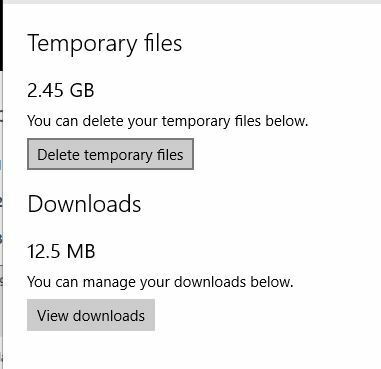 Click on Delete temporary files button. After removing temporary files, the blue screen in Edge should disappear. One way to fix this problem is to close the problematic tab before it loads. 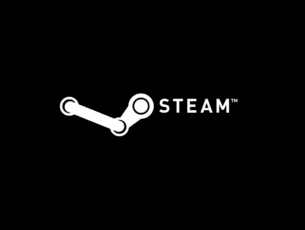 Few users reported that they fixed the issue simply by closing the tab before it fully loads. Keep in mind that you’ll have to be fast in order to close the tab before it loads. If you don’t manage to close the tab, simply close Edge, restart it and repeat the process again. One way to fix this issue is to run CCleaner. 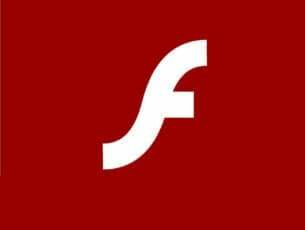 Simply download and install this tool, start it and let it perform the scan and remove the problematic files. The scanning process can take a while, so be patient and wait for it to finish. Press Windows Key + X to open Power User Menu and choose Network Connections. When Network Connections window opens, right click your connection and choose Disable from the menu. 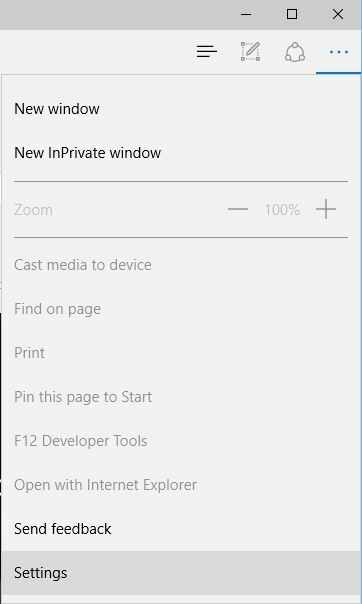 After your network connection is disabled, start Microsoft Edge. Problematic tab won’t be able to open without Internet connection, so you can easily close it. 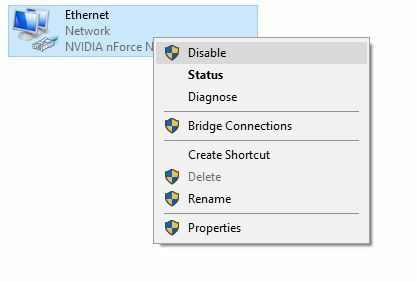 After closing the tab, go back to Network Connections window, right click your connection and choose Enable from the menu. If you don’t want to use Network Connections window, you can simply unplug your Ethernet cable and close the problematic tab in Edge. After you’re done, simply plug in the Ethernet cable again and the issue will be fixed. 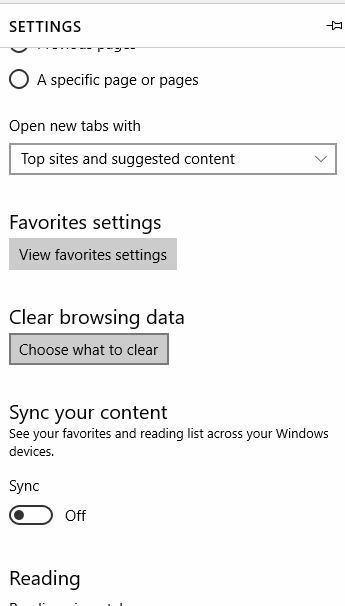 Scroll down to the Clear browsing data section and click the Choose what to clear button. Select all options on the list. Click Clear button to remove your cache. After doing that, close all tabs, restart Edge and check if the problem is resolved. This blue screen page will often display a message if you try to close it, but you can disable this message from appearing. Try to close the problematic tab several times. When the error message appears, close it and repeat the entire process again. After couple of attempts you should see Do not allow this page to generate any more messages checkbox. 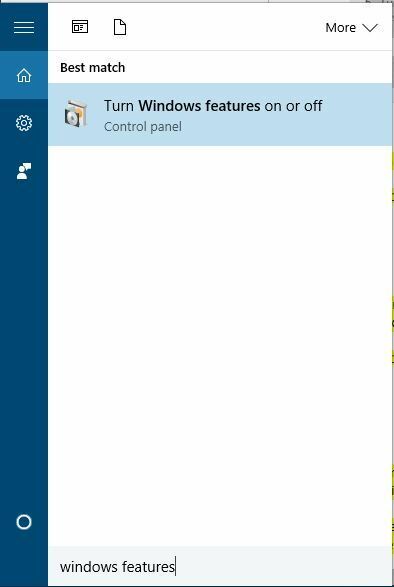 Check it and you should be able to close the blue screen tab without any problems. When Command Prompt opens, enter start Microsoft-edge:http://www.microsoft.com and press Enter. Edge will now open a new tab and you should be able to close the problematic tab without any problems. This is a tricky solution, but you should be able to perform it after a few tries. According to users, you can fix this issue simply by holding Esc key. By holding Esc you’ll close any error messages that might appear. Position your mouse over the X button on the problematic tab and try to click it. Keep holding the Esc key and try to click the X button. This might be hard to perform, but you should be able to do it if you’re quick enough. 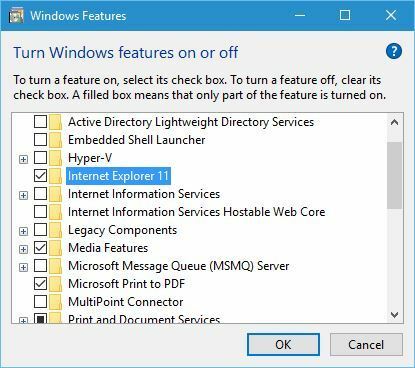 When Windows Features window opens, locate Internet Explorer 11 and uncheck it. 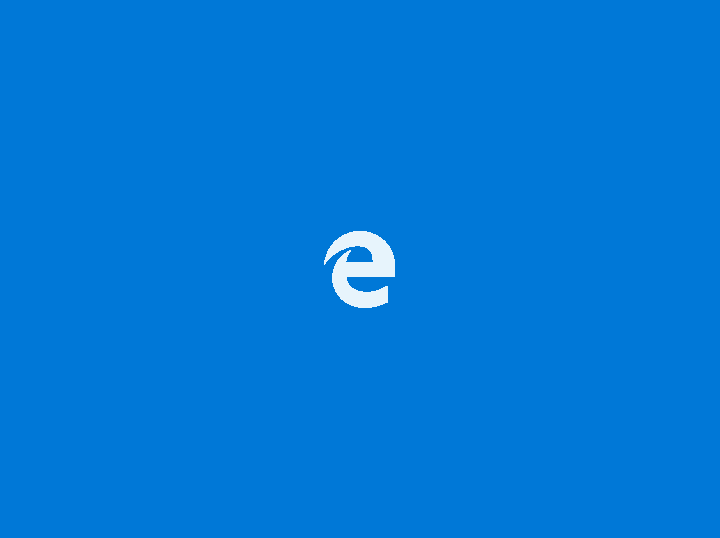 After your PC restarts blue screen shouldn’t appear in Microsoft Edge anymore. 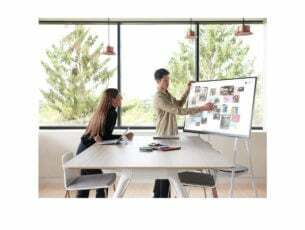 Blue screen in Microsoft Edge is most likely a scam, therefore if you have a similar problem you should be able to fix it by using one of our solutions.